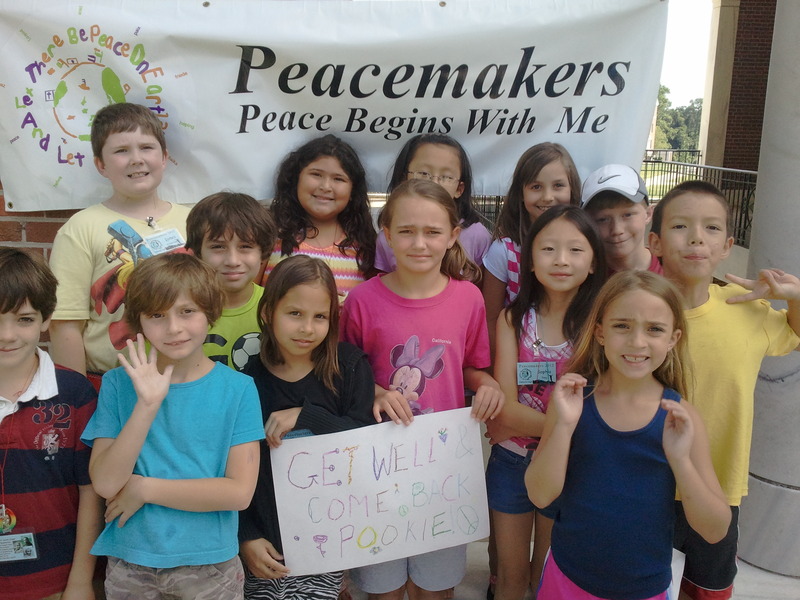 Had a great week at Peacemakers – What will matter in a hundred years? My week at Peacemakers is usually the best week of my year (this year, I think the qualifier â€œso farâ€ will apply, as we have an new arrival on the way!). I had the privilege to hang out with 14 seven-to-nine-year-old campers. I got to work with a fabulous group of counselors and counselors-in-training (â€œC.I.T.sâ€). Wesleyan College once again served as wonderful hosts, with particular kudos to the dining hall for having tasty vegetarian options at every meal.